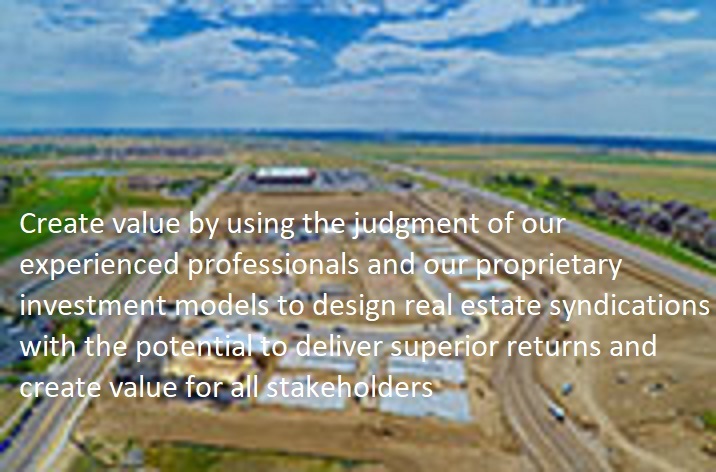 We source available land and value-add buying opportunities to ensure that our GP Sponsors have sufficient inventory to fully participate in our online financing platform. Many Sellers don’t have a comprehensive understanding of the financial markets before entering into listing agreements to sell their property. But the silver lining of this otherwise dark cloud is that we work with sellers and their agents to explore opportunities where sellers can participate in syndicated projects and turn their property into dream projects! Call or email now to learn more about how we are creating new investments. We are currently looking for entitled land and value-add commercial property suitable for online syndication.